​I gained my degree in constructed textiles from Birmingham College of Art, and post graduate diploma at the Scottish College of textiles in Galashiels. After which I worked as a designer in industry before setting up my own knitwear business in 1978. I work in wool, making a variety of items, from garments, accessories and soft furnishings to tapestries and toys. My work has become more expressive and experimental since I moved to the Forest. I have found new freedom in felt making, layering colour, creating transparent cloth using nuno techniques, or making 3D forms for hats and vessels. 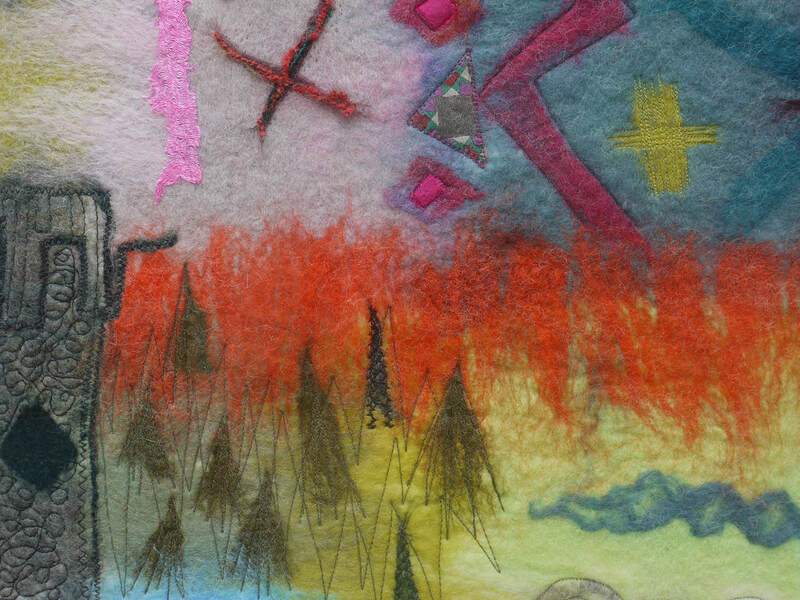 I love colour, and exploring processes, whether that is through felting, machine knitting, applique, or embroidery, and I may often combine any, or all of these in my pieces. From my Studio in Blakeney I run textile workshops. These can be book through my website.